Directorate for Education – Organisation for Economic Co-operation and Development. 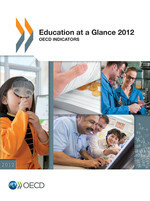 ..enables countries to see themselves in the light of other countries’ educational performance. Children from immigrant families face significant challenges. Moreover, this happens in the UK especially, compared with France, the Netherlands and Sweden. Sad.